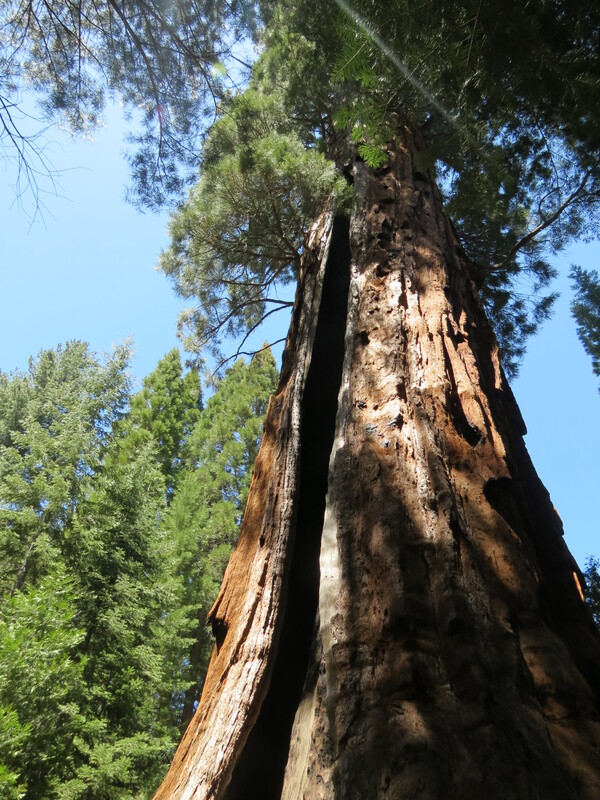 Boole Tree Loop - Sequoia National Forest - Beyond Limits on Foot! From Grant Grove, which is right off the 180, about 5 miles North turn left onto Forest Road 13S55. The sign will say: Converse Basin Grove, Stump Meadow and Boole Tree Trail. Needed a short hike that we could take the crew since we had kids with us, we decided to do this one. On the drive in we stopped at Stump Meadow it is about 2 miles in on a dirt road. There you can leave your car or go up a steep area to the Boole Tree trail head (recommend 4 wheel drive, though cars were able to make it without it). There are bathrooms at the entrance. If you would like a gradual ascent, make sure you start on the left fork. 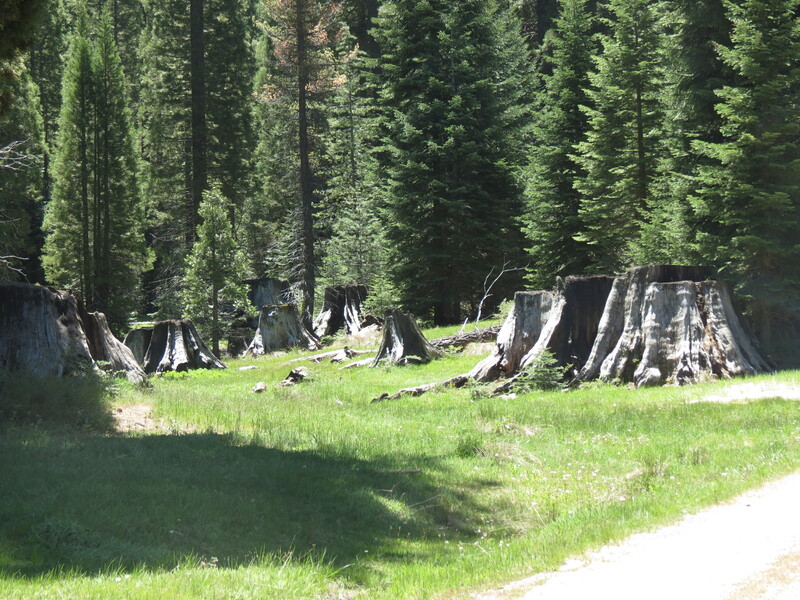 Boole Tree and Stump Meadow lye in the Converse Basin, which used to be a large grove until it was logged between 1892 and 1918. Boole Tree was saved by a gentlemen by the name of Franklin A. Boole, who was a supervisor for the logging operation. He defended this tree because of it’s size. Boole Tree is the largest tree known in the U.S. in any national forest at least that what one source says, there’s another source that says it’s the 6th and the 8th. Bottom line is that it’s a BIG tree! The beginning of the hike climbs about 700 feet in the first mile with many views of Kings Canyon. Slowly the wood gets thicker and the sunlight flickers through the trees. This was nice since it was past noon already and pretty warm out. We finally hit a fork in the road that led down to Boole Tree and the other down to our cars. Guess what we did, turned towards our cars, because the sign was unclear. Luckily we had a gps, had someone run back down and check the other trail. We then all headed down the correct way to Boole Tree, which stood 268.8 feet high and 113 feet in circumference at the ground at least. The known cubic volume is 43,931, which means 328,626 gallons. My car could drive over 10,000 miles on that. I could drive from my house to this area 20 times on that. Since this tree was so BIG, it was hard to take a picture of it’s hold, see shots for what I was able to get. After discovering a little cave (burnt, charred hole) inside the tree and enjoying it’s greatness, we headed back to the parking lot. This part of the hike was mostly a descent back to our original elevation; .9 miles and it took less than 15 minutes to reach our vehicle. This part of the trail had wooden steps built into it, which assisted in the downhill portion passing a handful of meadows, thick forested areas until hitting the clearing where the parked cars were. Note to self: Take a trail map even if it’s a loop or a short hike! Yes, I want to come!!! Sounds like you two will have an amazing time! Almost missed getting this tree on the trails to hike list. Thanks to a youtube video and this nice blog, we have it marked, starred, and definitely on the list!